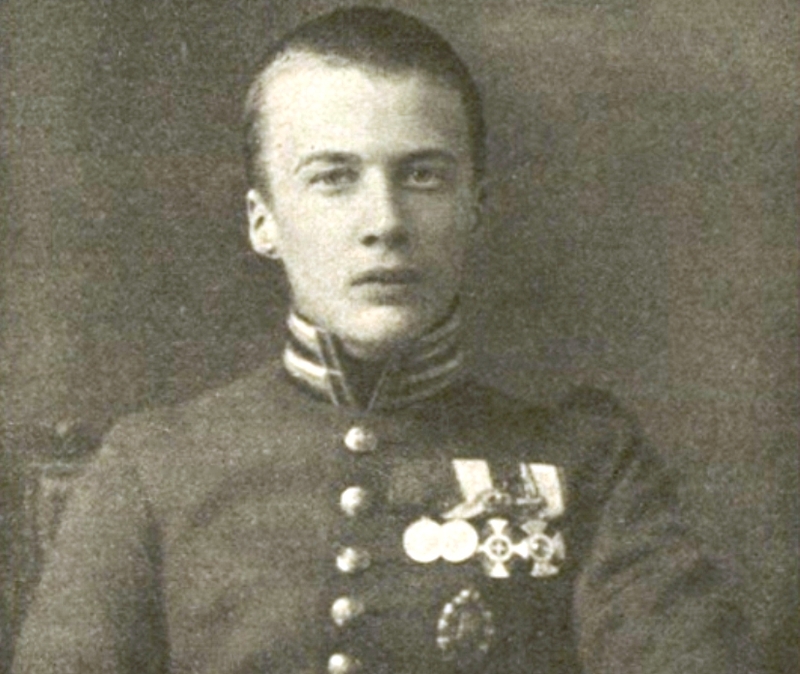 Two days ago, Prince Oleg Konstantinovich (above) was wounded in his right hip by a bullet while leading his cavalry platoon in pursuit of German riders on the Prussian frontier. 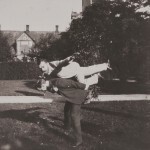 The smartest and favorite son of Grand Duke Konstantin Konstaninovitch’s eight children, Prince Oleg was sent to the prestigious Alexander Lyceum instead of military training, as is normal for males in the Romanov dynasty. He was even engaged to a princess before the war, but chose to enlist as a lieutenant instead. Blood poisoning has set in quickly from the bullet lodged in his abdomen, and even though he was evacuated to Vilnius for emergency surgery, Oleg dies today at the age of 22. The only member of the Romanov dynasty to be killed in battle during the Great War, his reputed final words are a stoic poem: “I am so happy. It will encourage the troops to know that the Imperial House is not afraid to shed its blood.” In fact, Prince Oleg expires in agony. Another story of his death, that he died only after personally cutting down five Germans, is almost certainly propaganda. He is shot bravely, but dies awfully. In reply to a telegram from Oleg’s grieving father, tomorrow Tsar Nicholas II tries to comfort his uncle with a reply telegram ordering the prohibition of distilled spirits, such as vodka, in the empire. The order will be confirmed the next day by the Council of Ministers — and then it will inevitably destroy the Romanov dynasty. Russia’s monarch fears a repeat of the 1904 war with Japan, a loss that his regime has blamed on drunkenness rather than material insufficiency. The Grand Duke has also bent his ear for years about the insobriety of the Russian peasant. 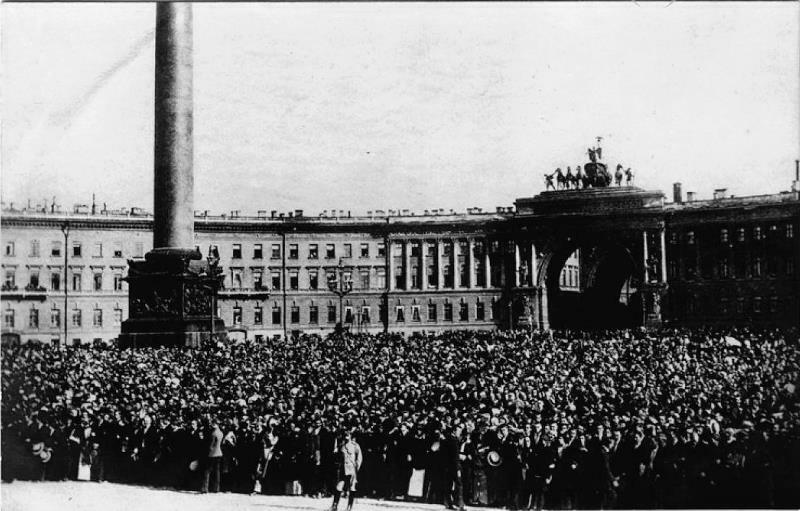 To prevent his soldiers from getting drunk and losing their martial spirit again this time, the Tsar’s mobilization order included an edict closing the liquor stores at every guberniia, or mobilization point, sparking riots. In August alone, 51 state officials were wounded and 9 killed, while 136 rioters were killed and 216 were wounded. Armed guards had to be posted at warehouses and stores. If anything, the resulting destruction and discontent were worse than any of the embarrassments of 1904 — but the Tsar’s ministers never tell him about any of it. While Russia still has little class consciousness in 1914, the Tsar’s prohibition decree puts the aristocratic social divide into sudden, stark relief by exempting the restaurants and clubs where the elite dine. The people in their taverns and inns are expected to face the horrors of privation, insecurity, and service during total war without so much as a drink to stiffen their resolve. Remarkably, the Tsar’s ministers will maintain the illusion of a successful policy right until revolution sweeps Nicholas and his family away to destruction. 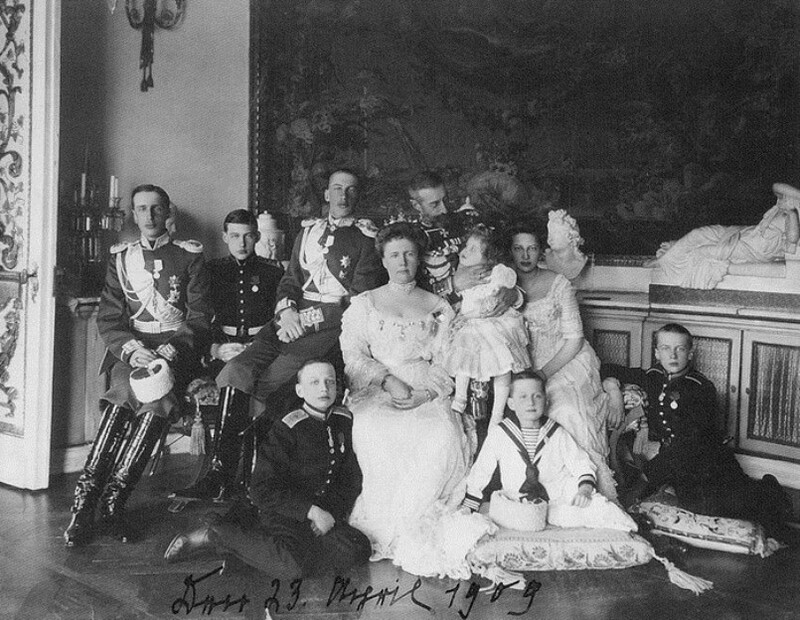 By then, the Grand Duke is already dead of a broken heart, but three of his remaining sons become Bolshevik prisoners and are beaten and shot to death the day after the Romanovs. 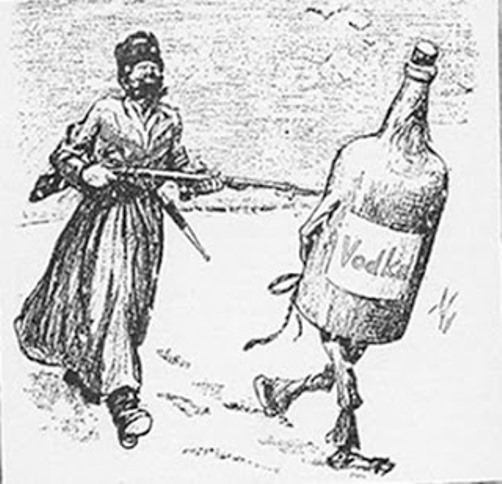 Nearly a third of the Russian government’s revenues came from the state vodka monopoly when the Tsar ordered mobilization. His ministers have assured him they can replace that revenue with the new energy of a sober population; they believe the Russian people will work harder now, producing vast economic growth. To fill the budgetary gap, new taxes on income, tobacco, and financial instruments are enacted, but produce far too little revenue and far too much discontent. Perhaps least explicable of these taxes is on commercial transportation, for the country’s limited rail infrastructure is already creaking under the stress of total war. With millions of Russian men leaving their farms and factories to fight, the Russian economy predictably craters. If the unintended consequences of prohibition on the home front are bad, they are even worse on the Eastern Front. 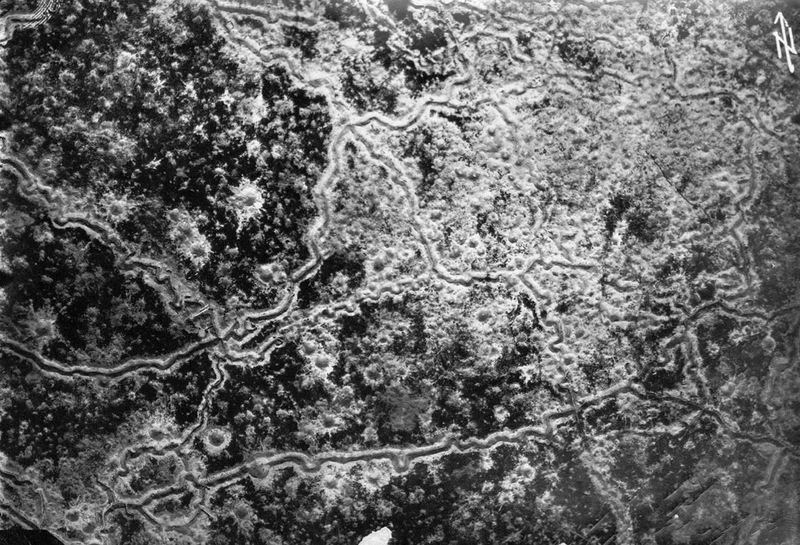 Not only are Russia’s soldiers constantly searching for alcohol and breaking things to get it, the Central Powers deliberately supply them with more alcohol: they leave caches of liquor near forward defensive positions so that any successful Russian attack bogs down. Austria and Germany even encourage fraternization during quiet periods of ‘live and let live’ just so they can provide the Tsar’s peasant troops with all the liquor they can drink prior to an offensive. When narrating the history of any empire, it is possible to point at any number of moments and declare them pivotal. But in a very real way, today is the day that things really do all start to go horribly wrong for Romanov Russia. It will all end in blood.